Plant Based Food Blogs List. The Best Plant Based Food blogs from thousands of top Plant Based Food blogs in our index using search and social metrics. Data will be refreshed once a week. 2.14 With Food Love | Plant-based Recipes and Travel. 2.19 Feasting At Home | Where healthy meets delicious! 2.22 Nutriciously - Healthy Plant-Based Eating. 2.57 Nourished by Nutrition - Live Balanced. Be You. Plant Based Food newsletter is a comprehensive summary of the day's most important blog posts and news articles from the best Plant Based Food websites on the web, and delivered to your email inbox each morning. To subscribe, simply provide us with your email address. Paros, Greece About Blog A food blog from sunny Greece with lots of simple, delicious, vibrant, colorful and easy plant-based recipes and cooking techniques from all over the world. Facebook fans 131,896. Twitter followers 1,012. Seattle,wa About Blog Hi, I'm Richa! I create flavorful plant based recipes that are inspired by my Indian upbringing, including many gluten-free, soy-free, and oil-free options. Facebook fans 893,433. Twitter followers 9,048. Portland, Oregon About Blog Minimalist Baker is all about food and it provides simple, delicious plant-based and mostly gluten-free recipes. Facebook fans 285,467. Twitter followers 32,193. Vancouver, Canada About Blog Let Dreena show you how to plant-power your diet! With tips and recipes for your family, including wheat, gluten, and soy-free options. Feel better, look better - eat plant-powered! Facebook fans 53,065. Twitter followers 13,082. Baltimore, MD About Blog Browse hundreds of whole food, plant-based recipes that are BIG on flavor but 100% free of animal products: no meat, fish, eggs, dairy, or honey. Being Vegan never tasted so good! Facebook fans 57,453. Twitter followers 685. Oakville, Ontario About Blog Hi, I’m Angela and author of the NYT Bestseller, The Oh She Glows Cookbook. Oh She Glows is an award-winning recipe blog featuring over 500 healthy recipes inspiring you to embrace more plant-based foods in your diet without feeling the least bit deprived. Facebook fans 386,643. Twitter followers 81,150. Austin, Texas About Blog The Engine 2 Diet has sold hundreds of thousands of copies and inspired a plant-based food revolution. Featuring endorsements from top medical experts and a food line in Whole Foods Market, Engine 2 is the most trusted name in plant-based eating. Reverse heart disease and Type 2 Diabetes by following our easy plan. Facebook fans 160,505. Twitter followers 53,103. United States About Blog Hi I'm Chuck, and I make switching to a plant-based diet as easy as possible by recreating all of your favorite comfort foods. You're not going to believe how good it tastes and chances are, you're not gonna miss a thing! Facebook fans 40,788. Twitter followers n/a. Facebook fans 34,301. Twitter followers n/a. About Blog Learn how to love your veggies & how a well-rounded whole foods plant-based diet can be the healthiest way you'll ever eat. Browse delicious veggie-inspired recipes that vegans, vegetarians, omnivores, & even carnivores will love! Facebook fans 33,014. Twitter followers 2,699. Ontario About Blog My blog is about the things I love: cooking with natural, plant-based foods, eating seasonally, and sharing wholesome meals with the people in my life. The First Mess is an award-winning vegan food blog with beautiful photography and healthy, seasonal recipes. Facebook fans 27,367. Twitter followers 8,092. Hawaii About Blog Molly Patrick is specializing in the Whole-Food Plant-Based Diet. Find Whole-Food Plant-Based recipes and stories to motivate and empower you to eat better. When you eat better, you feel better and that makes life amazing. Facebook fans 24,994. Twitter followers 1,837. About Blog I share plant-based recipes that anyone will eat. Stick around, won't you? I'm so glad you're here. Facebook fans 24,640. Twitter followers 1,229. 14. With Food Love | Plant-based Recipes and Travel. St. Louis, MO About Blog I’m based in St. Louis. Here I create content and develop recipes for like-minded brands, work as a private chef as well as host seasonally inspired pop-up dinners and contribute to FEAST Magazine. Facebook fans 20,515. Twitter followers 2,615. London, England About Blog Plant Based News is a top resource for the latest up-to the minute plant-based-interest content. It is stuffed with news, blogs, reviews and more. Get The latest plant based vegan news from around the world, Food Trends, Product Launches, Interviews with the leading doctors in the plant based and vegan movement. Facebook fans 369,684. Twitter followers 21,188. Oregon About Blog Minimalist Baker is a food blog by Dana. It features simple plant-based recipes. Follow to keep up with simple vegan food recipes that are simply delicious. Facebook fans 280,570. Twitter followers 31,530. Ithaca, NY Home of Cornell University About Blog Our mission is to promote optimal nutrition through science-based education, advocacy, and research. By empowering individuals and health professionals, we aim to improve personal, public, and environmental health. Facebook fans 162,769. Twitter followers 24,218. Chicago About Blog Browse plant-based vegan recipes and wellness tips that will unearth vibrancy, health and happiness in your daily life! Facebook fans 14,393. Twitter followers 1,976. 19. Feasting At Home | Where healthy meets delicious! Pacific Northwest About Blog A food blog with hundreds of healthy, mouthwatering & approachable recipes by chef, Sylvia Fountaine. Plant-inspired recipes to spark joy throughout the seasons! Facebook fans 7,741. Twitter followers 832. Facebook fans 13,006. Twitter followers 1,377. Vancouver, BC About Blog Welcome to Running on Real Food! Here you'll find simple, delicious and healthy, plant-based recipes and everything you need to eat, live and thrive. Facebook fans 13,416. Twitter followers 4,038. 22. Nutriciously - Healthy Plant-Based Eating. About Blog Learn all about nutritious, delicious whole food and its power to transform your life. Get regular posts, guidance, and free courses to ensure your success. Facebook fans 11,881. Twitter followers 19,597. About Blog Enjoy lots of free healthy plant-based vegan recipes and check out our free Weight Loss Cheat Sheet to find out why you're not losing weight on a plant-based diet. Toronto, Ontario About Blog Your one stop spot for simple, healthy, plant-based comfort food that will please vegans (and non-vegans) alike. Many of my recipes are free of gluten and oil as well. Come and join me as I whip up new recipes in the kitchen with love. Facebook fans 17,155. Twitter followers 1,168. About Blog We deliver delicious chef-prepared, plant-based meals and juices to your doorstep. just heat up, dig in and love. Facebook fans 79,845. Twitter followers n/a. Facebook fans 43,623. Twitter followers 2,584. Chicago About Blog For yummy whole foods recipes, grocery guides, cruelty-free beauty products, plant based tips & tricks or just to feel inspired, I would love for you to stop by my blog! Run by Shannon. Facebook fans 8,988. Twitter followers 895. Vancouver, Canada About Blog Grab a tea and explore the site for whole foods recipes, videos, and more! Let Dreena show you how to plant-power your diet! With tips and recipes for your family, including wheat, gluten, and soy-free options. Feel better, look better - eat plant-powered! Facebook fans 54,012. Twitter followers 13,120. United States About Blog Hi there Health Foodie Folks! Our intent is to help as many people as we can to transition to a Plant Based diet for their health and to help correct the ills of our planet that has been caused by raising animals for food. I am happy to share my knowledge of Whole Food Plant Based Vegan Nutritarian cooking and think of my family’s efforts for making this show, as our service to humanity. Facebook fans 2,737. Twitter followers n/a. About Blog I'm Alexa Peduzzi, that girl obsessed with cookies, oats, and veggies. Fooduzzi is the plant-based food blog where classic recipes are made healthy! Follow to discover tasty vegan meals and treats! Facebook fans 2,682. Twitter followers 473. Mebane, NC, US About Blog The vision of PlantPure, Inc. is to make a plant-based lifestyle accessible to everyone; its mission is to deliver affordable, wholesome foods, education, and other support that help people sustain their commitment to a plant-based lifestyle. Facebook fans 74,147. Twitter followers 12,535. Boston, MA About Blog Your favorite seasonal recipes, simplified to the essentials and with a plant-based twist. Get recipes that are easy, approachable, practical, and satisfying. Facebook fans 6,199. Twitter followers 1,729. About Blog A whole foods, plant-based food blog written by Rita & André. Explore the blog to find your new favourite vegan recipes! Facebook fans 10,425. Twitter followers 132. Essex, UK About Blog PlantBased is the ultimate resource for vegan and plant based diet followers. Our aim is to provide you with vegan meal ideas that are easy to follow and simple to cook. A vegan magazine bursting with hundreds of plant-based recipes, let us show you just how delicious and interesting a diet based on plant-power can be. This is vegan food like you've never seen it before! Facebook fans 64,101. Twitter followers 3,321. North Carolina, USA About Blog Food for Life instructor with Physicians Committee for Responsible Medicine. Plant-Based Certification from e-Cornell, T Colin Campbell Center for Nutrition Studies. Culinary Medicine public speaker. Facebook fans 41,792. Twitter followers 434. About Blog I'm Ilene and I make, photograph (and eat!) all the recipes you see on the site. I'm a certified health coach, recipe developer and food photographer. I'm an NYC-based health coach here to share plant-based recipes that are colorful, not complicated. Facebook fans 7,229. Twitter followers 1,791. Tucson, AZ About Blog Pure Joy Planet is a culinary school with classes, courses, and certifications offered as interactive courses, globally and online. Pure Joy Planet is operated by Founder and Director, Elaina Love. Learn about healthy living from our vegan, raw-food chefs Elaina Love and Katelyn Louise. Gluten-free, vegan, plant-based lifestyle. Facebook fans 7,769. Twitter followers 4,563. About Blog Delightful Vegans is the place for vegan food and travelling adventures. Learn to cook with delicious plant based ingredients and be inspired with our travels. Facebook fans 2,483. Twitter followers 248. Bali, Indonesia About Blog Healthy wholesome plant based vegan recipe, travel and lifestyle blog. Australian nutritionist and dietitian. Facebook fans n/a. Twitter followers 1,861. Ohio, USA About Blog Allow us to introduce ourselves, we are Ameera and Robin, a daughter-mother blogging team. We live in Ohio, and we love creating healthy Whole Food Plant Based recipes, photographing our delicious creations, and sharing our kitchen adventures with you. Facebook fans 1,465. Twitter followers 127. About Blog Hello! I’m a 30 year old mama of two, married to my absolute best friend, living in California. I’ve been in love with food as long as I can remember and came to a vegan diet after struggling to cope with my rheumatoid arthritis for years. I was able to heal myself with fresh, raw, fruits and vegetables modifying my lifestyle to have less stress: through yoga, meditation, and simplifying my life. About Blog A food blog with simple and fun recipes that are mostly plant-based, vegan, healthy, and with the occasional indulgence. Facebook fans 27,048. Twitter followers n/a. Facebook fans 5,207. Twitter followers 481. Facebook fans n/a. Twitter followers 693. About Blog Welcome to my whole foods plant-based test kitchen! I make the recipes first and review them so you don't have to waste your time. Facebook fans 5,695. Twitter followers n/a. New York, USA About Blog A vegan food blog with healthy plant-based recipes to help you save the environment, the animals, and your health. Facebook fans 7,114. Twitter followers 917. Los Angeles Area, California About Blog Sharon is an award-winning blogger, author, registered dietitian nutritionist, and plant-based food and nutrition expert. Facebook fans 6,385. Twitter followers 9,258. Seattle, WA About Blog Your newest vegan & whole foods plant based food inspiration blog! Easy, healthy, tasty ! Facebook fans 7,034. Twitter followers 1,762. Texas About Blog Living a plant-based, vegan lifestyle and loving every minute of it! Sharing my favorite recipes along the way to inspire others to make healthier, plant strong food choices. Facebook fans 11,533. Twitter followers 1,344. Amsterdam About Blog Everything vegan in Amsterdam, for locals and visitors. Find restaurants and shops and discover what's on! Facebook fans 8,584. Twitter followers 484. About Blog My name is Heather McClees and I'm a plant-based nutritionist, recipe developer, and health and wellness writer. I have a heart for sharing wellness and natural health with others along with easy and healthy recipes that are always inspired by whole food plant-based ingredients. Thanks for joining me here at The Soulful Spoon! Facebook fans n/a. Twitter followers 1,608. Melbourne About Blog Hello and welcome! I'm Faye and I blog about vegan life here in Melbourne, Australia. I love connecting readers with news of events, dining options, products, services and anything else that can help people already living, or those considering switching to a more plant based lifestyle. Family, my Greek roots, secondhand shopping and my home town are also a focus on my blog. Facebook fans 644. Twitter followers 248. About Blog A vegan food blog featuring simple plant based recipes that are refined sugar free and oil free. So tasty you won't even notice it's veggies! Scotland About Blog Plant-based diet advice, recipes and online courses to help you eat healthily every day. Caroline's Plant-Based Diet navigates the often confusing world of following a whole food, plant-based lifestyle. I call it a diet, but it's actually a lifestyle as it's a wonderful way to live your life. Facebook fans 11,389. Twitter followers n/a. 57. Nourished by Nutrition - Live Balanced. Be You. St Louis, MO About Blog Welcome to Nourished by Nutrition! I believe healthy is a lifestyle that focuses on balance in all aspect of life, with nutritious food being the foundation. Here you will find predominantly plant-based recipes as well as nutrition and lifestyle tips! About Blog Welcome! My name is Caroline – I am a Certified Plant Based Nutritionist and Health Coach with a passion for alternative healing, sustainability and all things cruelty-free. I created Plant Based Blonde with the intention of sharing how simple, nourishing and delicious plant based eating is. Facebook fans 442. Twitter followers n/a. San Francisco, CA About Blog Hey there, I'm Amanda, the food blogger behind Mindful Avocado. I create vegan and vegetarian recipes using healthy ingredients and whole foods. Facebook fans 127. Twitter followers 135. Facebook fans 8,489. Twitter followers n/a. About Blog Plantbased.ie is Ireland's leading online resource for all things Plant-Based. I hope the content inspires you to incorporate more plant-based food in your diet and ultimately enable you to achieve the best health your genetics will allow. Madera, California About Blog I'm Linda. Here you'll find 100's of plant-based recipes for everyone to enjoy! I love inspiring people to cook plant-based recipes that are easy to make and great to eat! After a week of plant-based meals, you’ll feel slimmer, stronger, healthier and more energetic!. United States About Blog Hey I'm Desiree! We are a family of 5. Growing and thriving on a (mostly). Healthy Whole foods plant based lifestyle. We love sharing our journey and hope to help others succeed where ever you are in your life. Much Love! Facebook fans 960. Twitter followers n/a. Montréal, Québec About Blog Our goal is to reinforce that you can live sustainably and cruelty-free anywhere, which is something that we had trouble believing for a time. We hope you enjoy our story, as we tell it through the food and travel photos we take. Facebook fans 7,261. Twitter followers 133. About Blog Run by Margaret Chapman. Living a plant-based, vegan lifestyle and loving every minute of it! Sharing my recipes along the way to inspire others to make healthier food choices. Facebook fans 11,181. Twitter followers 1,349. About Blog Plant-based recipes, vegan, vegetarian, egg-free, dairy-free. We are a wife and husband duo cooking and baking together. We will share with you week by week what we cook and bake in our kitchen for ourselves and for our 2,5-year old daughter. All recipes are plant-based recipes. They will be suitable for vegans and vegetarians and for anyone who has to eat egg-free and dairy-free. On top of these most of the recipes will be gluten-free too. Facebook fans 272. Twitter followers n/a. Bay Ridge, Brooklyn About Blog Brooklyn couple recreating recipes for a plant-based diet. Cambridge, England About Blog Welcome to Cook the Beans, please join me in this amazing adventure that is life. Follow my vegan travel adventures, try one of my deliciously easy vegan recipes, and share some love. Here you will find, travel guides, tips, and recipes from a vegan traveller that slowly is making her way around the globe. Facebook fans 2,072. Twitter followers 90. About Blog Real Food Bars are plant-based nutrition bars with all essential food groups. All bars are made with minimal ingredients without any fake additives. They are gluten-free, dairy-free and soy-free. Vegetarian. Made with organic and non-GMO ingredients. Facebook fans 184. Twitter followers 62. New York, NY About Blog I started Green Beat Life, LLC to help those aspiring to live a plant-based life achieve their individual wellness goals with holistic nutrition and health coaching. You'll find my approach to be personal and practical, and I'll guide you to succeed on your wellness path, so that it's naturally integrated into your lifestyle, each and every day. Facebook fans 1,244. Twitter followers 326. About Blog I think life is at its best when you are able to consciously enjoy moments. Taking the time to appreciate amazing tastes, seeing and experiencing amazing places and enjoying the company of family and friends. I hope to write about these things to share my own experiences with you. About Blog Plant Based Yogi's purpose is to share the benefits of health and yoga through inspirational recipes, stories and philosophy. My blog is aimed at helping and inspiring others to thrive on plants and savor the deliciousness of life. Chicago About Blog Hello! My name is Jyothi – I’m a doctor and live in Chicago. My love for plant based food and cooking inspired me to start blogging. All of the recipes in this blog are plant based. I believe wellness starts in the kitchen! Facebook fans 147. Twitter followers 683. About Blog I’m Christina, but you can call me Chrissy. I’m a Caribbean-Canadian natural health enthusiast and dancer with severe chronic eczema. I have suffered with it for over 20 years.I have learned a lot about natural approaches to health via my own research and through lifestyle changes I’ve had to make in my life in order to be healthier. This is why/how my blog was born.I want to positively impact the lives of as many people around the world as possible. Facebook fans 104. Twitter followers n/a. About Blog I have a certificate in Plant Based-Nutrition from Cornell University. Additionally, I am certified as a Vegan Lifestyle Coach and Educator by Main Street Vegan Academy. On this site, you will find information about the health aspects of a vegan diet. You will also find delicious and easy to prepare recipes with nutritional analysis. Facebook fans 195. Twitter followers 45. London, England About Blog I'm Megan, nutrition coach and wellness enthusiast, recipe developer, content creator and avid nut butter addict. Welcome to my blog, where you'll find a selection of nourishing yet oh so indulgent plant-based recipes recipes, recommendations on the most amazing places to eat in the capital (and across the globe) endless nutritional information, tips and advice. Facebook fans n/a. Twitter followers 84. About Blog Plant Based Personality holistic nutrition services with a strong focus on healthy eating and how diet choices can impact your health and wellness. Whether you’re looking for nutritious recipes, or you need professional guidance in order to address a specific health issue, Plant Based Personality is ready to help you reach your goals and enhance your quality of life. About Blog Amber Gisele is all about spreading the word on plant-based nutrition through sharing delicious and simple recipes which make use of the most natural food sources – whole foods, fruits and vegetables. My hope for this platform is that it inspires others to branch out and try something new in their kitchens with easy to find and affordable foods. About Blog I was inspired to start this blog after witnessing the power of eating a plant based diet first hand. This blog is to share information and recipes, and to encourage people to try more plant based cooking in their homes. Arizona About Blog My Plant-Based Family provides a Whole Food, Plant-Based Diet, On a Budget. Find Whole Food, Plant-Based (no oil) recipes and tips, Free weekly Meal Plans, Allergy-friendly recipes and tips. Facebook fans 15,331. Twitter followers 1,767. Chicago, IL About Blog Welcome to Plants-Rule, a home for healthy, plant-based, oil-free vegan recipes. A chef's passion for ingredients with the realistic practicality of a home cook. These articles offer insight into the benefits of a vegan diet with the humor to support a balanced healthy lifestyle. Facebook fans 2,192. Twitter followers 91. Facebook fans 2,530. Twitter followers 5,326. British Columbia, Canada About Blog Award nominated food blog featuring deliciously simple and seasonal plant-based vegan recipes made with wholesome ingredients and love. Facebook fans 1,057. Twitter followers 286. About - Plant Based News is a top resource for the latest up-to the minute plant-based-interest content. It is stuffed with news, blogs, reviews and more. Get The latest plant based vegan news from around the world, Food Trends, Product Launches, Interviews with the leading doctors in the plant based and vegan movement. About - Hello and welcome to my blog Plantbased Pixie! My name is Pixie, and I’m a registered associate nutritionist (ANutr) (MSc), award-winning food blogger, writer, and speaker. I eat a plant-based diet, using the scientific definition of plant-based meaning ‘a diet based on plants’, not necessarily a diet solely consisting of plants. So, I hope you enjoy my posts and recipes. About - Welcome to my kitchen! I’m a cat loving, herbal tea hoarding foodie from the UK with a passion for plant based food. I hope this blog inspires you to try more plant based meals. Whether you’re vegan or not I aim to create easy to prepare, nutritious, delicious recipes. About - I'm Megan, nutrition coach and wellness enthusiast, recipe developer, content creator and avid nut butter addict. Welcome to my blog, where you'll find a selection of nourishing yet oh so indulgent recipes, recommendations on the most amazing places to eat in the capital (and across the globe) endless nutritional information, tips and advice. 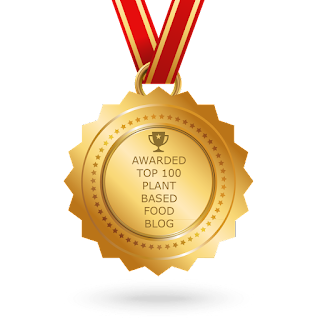 CONGRATULATIONS to every blogger that has made this Top Plant Based Food Blogs list! This is the most comprehensive list of best Plant Based Food blogs on the internet and I’m honoured to have you as part of this! I personally give you a high-five and want to thank you for your contribution to this world.